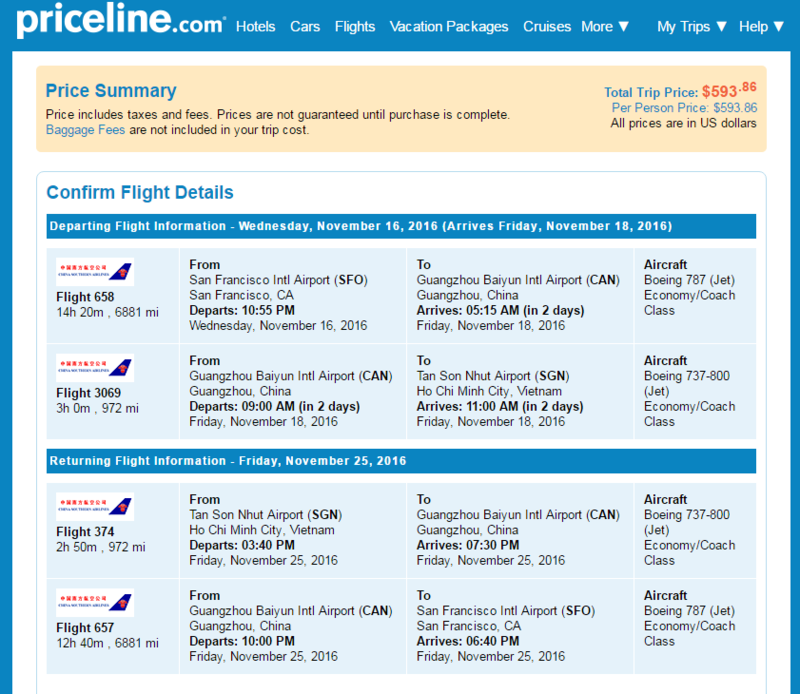 This fall fly to Vietnam from San Francisco. 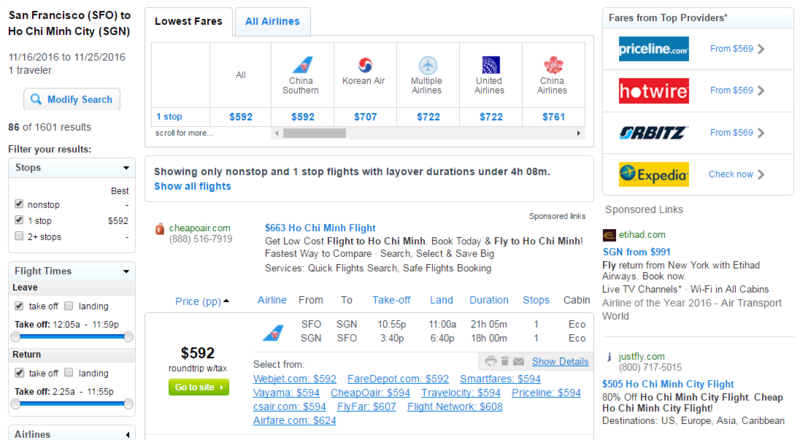 Fly China Southern for $594 roundtrip, including tax, to Ho Chi Minh City. This deal saves travelers over $200 compared with current rates. Note: There may be lower 2-stop fares that appear in the calendar. Use the Layover Duration slider to find shorter layover times. 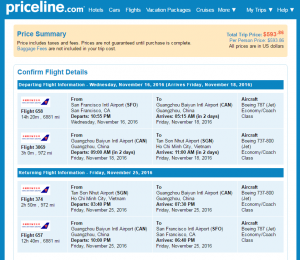 China Southern allows two complimentary checked bags when flying to/from the USA. Check our baggage fee chart for more information.